SVM (Smart Valve Monitor) production is temporarily discontinued. Please consult the Sales department in our Leeds, UK factory for SVM spare parts availability. 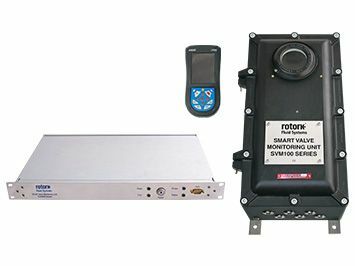 The Rotork Smart Valve Monitor is a partial stroke testing (PST) system for hydraulically or pneumatically actuated on/off valves. The system consists of a control unit that connects to the power supply, the solenoid valve, and also a pressure transmitter to provide feedback for the analysis of valve performance.